Certifications & Memberships - Newman Paperboard Inc.
Newman & Company, Inc is Forest Stewardship Council® (FSC) Certified by the Rainforest Alliance. Products carrying the FSC label are independently certified, giving customers the assurance that our products have been sourced in an environmentally-friendly, socially responsible and economically viable manner. This is a chain-of-custody certification. All parties in the supply chain taking legal ownership of the product must be certified in order for the finished product to bear this logo. Newman & Company is a proud NAID member providing information destruction services. NAID is the acronym for the National Association of Information Destruction. This international trade organization enforces the highest standard of ethics for document and information destruction companies. Their mission is to promote personnel and procedural security and govern its members, their standards, and their ethics. Visit www.naidonline.org for more information. 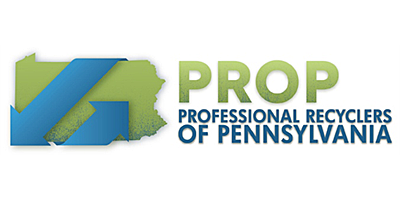 The Professional Recyclers of Pennsylvania (PROP) is an association of recycling professionals working to ensure that all recyclable materials in the Pennsylvania waste stream are, in fact, optimally recycled. PROP uses a variety of programs and tools to connect, educate and inform members and the recycling community to help them develop and maintain the skills, knowledge and ability needed to realize our vision. Newman and Company is a proud PROP member. Newman & Company, Inc is Certified by the Recycled Paperboard Technical Association (RPTA). RPTA certifies that each member mill certificate holder has processes in place to produce product which meets the stipulations of the RPTA Comprehensive Program for Food-Contact Paperboard Produced from Recycled Fiber and certifies that the management and manufacturing systems of the certificate holder have been audited and found to be in accordance with the requirements of Recycled Paperboard Technical Association: Comprehensive Program for Food-Contact Paperboard Produced from Recycled Fiber. Products produced by certified RPTA member companies are suited for direct food contact packaging applications.